Almost 20 years ago Joseph Pine and James Gilmore welcomed us to the experience economy in their Harvard Business Review article. They pointed out that as services become commoditised, the opportunity is for companies to stage experiences to differentiate themselves from the competition. Experiences they say are different from services. Services may be customised, meet a need and provide a benefit for the customer but experiences connect emotionally and create a memorable event that can be charged for, either as a stand-alone element of the customer proposition or as a justification for premium pricing. Theme parks, restaurants and British Airways in its heyday saw the value in creating an experience that transcends the provision of product or service. BA sought to differentiate itself by using its core offering – air travel – as a ‘stage’ for the creation of a travel experience that provided an exciting respite from the mundane, sometimes frenetic rhythm of daily life. 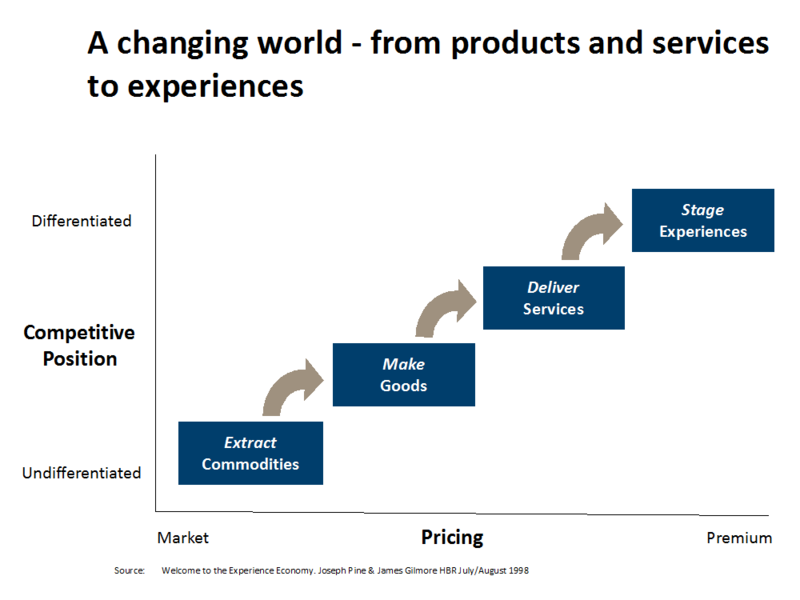 Whilst we may not have seen the explosion in the experience economy that Pine and Gilmore thought 20 years ago might happen, there is however, a new breed of company that, in the last decade, has moved into the world of experience as a route to competitive advantage. One such company is IKEA which I featured in a blog last year. They built a pop up restaurant in Shoreditch, east London and the climbing wall to mark the opening of their new store in Clermont-Ferrand, France (all created with IKEA products). Both are examples of experiences they staged to build a more intense, more emotional connection by having customers ‘play’ with the products IKEA sell in its stores. O2, the mobile telecoms provider also saw the opportunity to go beyond the provision of a price plan and a mobile handset. 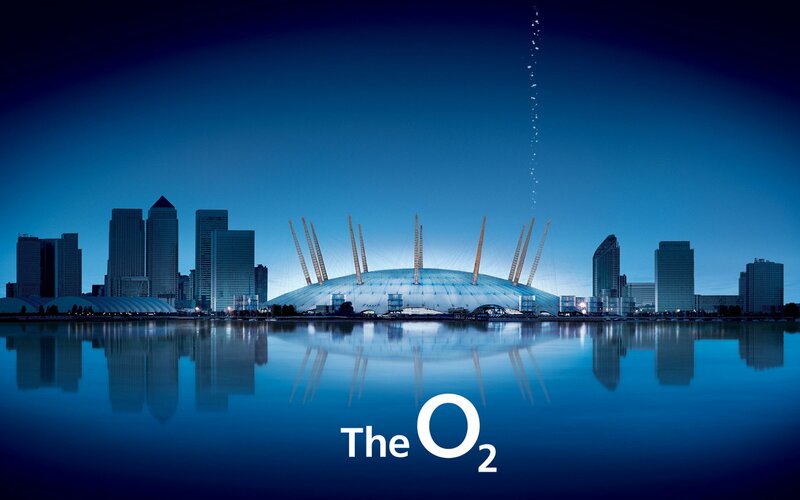 O2 introduced its Priority access to sporting events and music concerts at O2 arenas for loyal, high value customers. The success of its experience strategy is shown by every measure you could study at that time. O2 became the market leader in the UK with the highest net promoter scores, market leading profitability and award after award as one of the best places to work. Companies are also turning to the staging of one off events, with a purpose driven theme, as a way of building trust and loyalty from their target market. Very, the online retailer joined with Liverpool City Council to celebrate Liverpool’s nomination as European Capital of Culture by staging the world’s largest catwalk fashion show in Liverpool city centre. More than 3,651 people sashayed down the catwalk in under four hours during the fashion show under the creative stewardship of renowned designer Wayne Hemingway. Those that took part included punks, goths, brownies, football fans, brides, gymnasts, local fashion designers and bloggers along with the general public. The successful attempt generated more than 202 news articles, 164,000 Tweets and 93,500 Facebook posts. The event, part of a weekend of celebrations, attracted 200,000 visitors to the city with an economic impact of £4.8m. It has also led to lasting relationships between Culture Liverpool and the community groups that took part. The staging of experiences in the way that IKEA, O2 and Very have done requires bold leaders committed to providing the resources and cultivating an innovative culture focused on creating memorable experiences for customers. However useful large scale events are, memorable experiences are not only created through bold gestures and big investments. In our next blog I will look at the importance of the contact between front line staff and customers and what organisations need to do to ensure their people can deliver the magic every day.